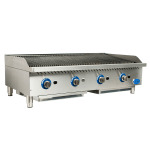 The Globe GCB48G-SR countertop charbroiler is heated by natural gas, but it can be converted to LP gas. Stainless steel burners are spaced every 12 inches to evenly distribute heat, and radiants absorb heat and diffuse it to the cooking surface. To accommodate different broiling applications, the cast iron grates adjust to flat or angled positions. 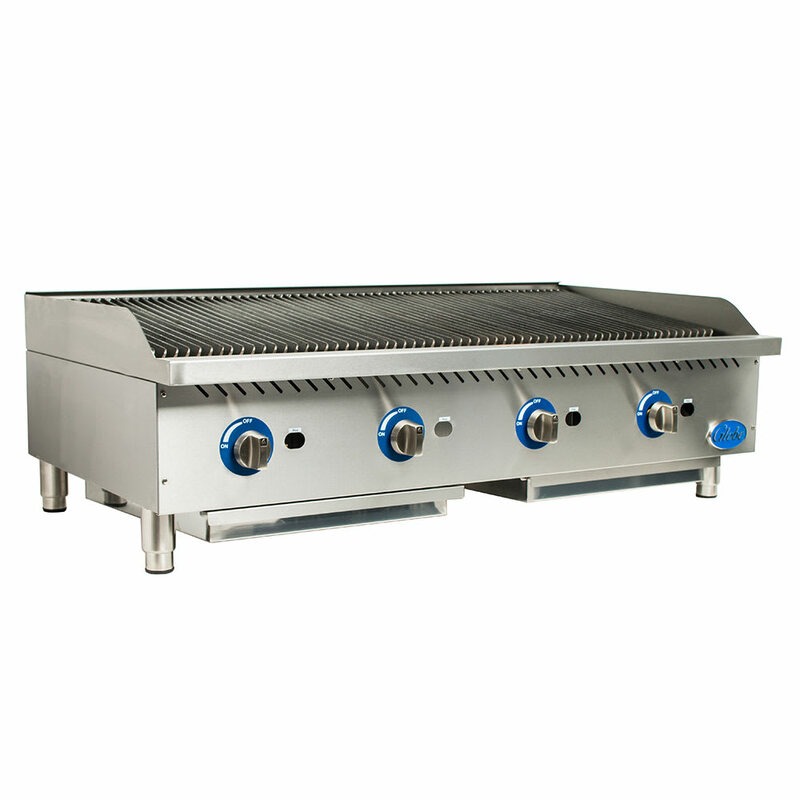 To facilitate cleaning, a catch tray collects crumbs and stainless steel legs elevate the Globe GCB48G-SR gas charbroiler off the countertop. Unsure if this is the right charbroiler for you? Read more about them in the charbroilers buyers' guide.